A mouthful of rauchbier can create the sense of cognitive dissonance. Rauch (pronounced “rowk”), or smoke, is one of the most ancient accents in our culinary experience—but it tends to evoke meat, rather than beer, in our brain. We associate the flavor of certain woods in our mind with the meats they’re typically smoked over—hickory and ham, alder and salmon. Then, when we encounter them in a different context—hickory-smoked malt, say—our minds get confused. Beyond the dissonance, smoke is a strong, unfamiliar flavor one can’t ignore in a beer. For both reasons, people often abandon a glass after just having three or four sips. You may wonder if there isn’t something ever so slightly self-serving about a brewer who insists you have to drink three of his beers, but Trum’s advice is solid. Schlenkerla’s malt is smoked over beech wood, but many people find bacon or barbecue in it. To my palate it’s more like a campfire: tangy, savory and very strong. Bamberg has one other rauchbier maker, Spezial, but Schlenkerla’s beer is a great deal more charred. Trum is right about the smoke falling back, though. After a pint or two, the smoke, like background noise or a pervasive scent, recedes, revealing the beer underneath. There lies a warm, malty beer, and with enough time you can even identify some delicate German hopping. 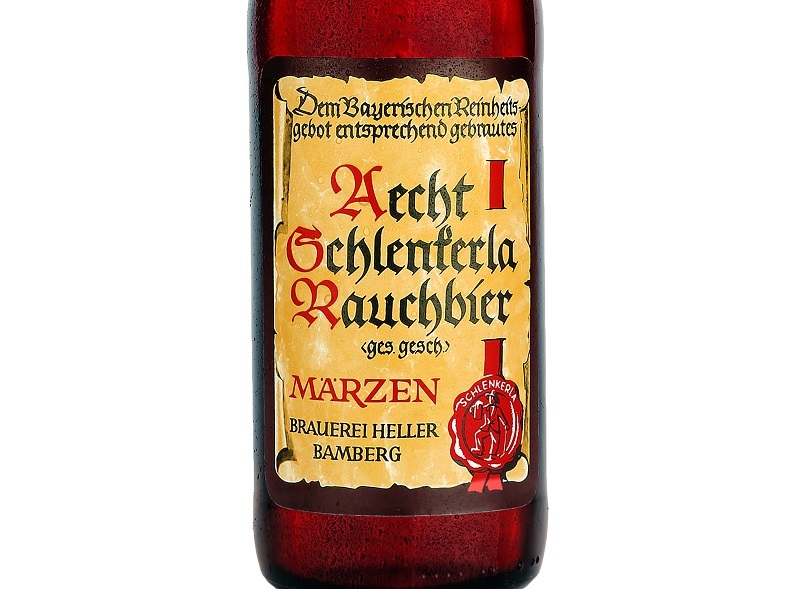 Schlenkerla makes several different beers, but the main flagship they call a Märzen—though it’s mahogany in color. (In Germany, Märzen is a strength, not a style or color.) That beer, once you puncture the smoky haze, has a nutty, plummy sweetness, but one that finishes dryly, in part because of the tannins in the smoke. Many people who make the trip to the gorgeous, preserved city of Bamberg find themselves in Schlenkerla’s pub (Trum: “If you visit Bamberg and have not visited Schlenkerla, you have not visited Bamberg.”), but the brewery is actually a few hundred meters away. It’s a small, gas-fired system from the 1930s, and Trum uses a classic double decoction to make the beer. His lagers are aged 10 meters underneath the city at 41 degrees F for 6-12 weeks (and the Märzen gets eight). Matthias, the sixth generation of Trum owners, has had to use all his wiles to make Schlenkerla appealing to drinkers in the 21st century. After earning a master’s in economics at Bamberg University, he went to Weihenstephan for a master’s in brewing. When his father turned over the brewery to his care, he started extending the line. Particularly because his beer is so associated with antiquity, he couldn’t just start brewing IPAs, though. “So in Bamberg I wondered what I could do that was historically accurate on the one hand but inventive on the other hand.” To a line that also contained a helles and a bock, he’s added an oak-smoked beer, a Lenten beer and even a wheat ale. They are all smoky and none taste exactly “modern,” but they have helped the brewery grow to 20,000 hectoliters, or 17,000 barrels. It may be that rauchbiers—and smoked beers as a whole—will never be much more than a niche. Asking a casual drinker to commit to, say, a liter and a half before deciding whether she likes them might be a tall order. On the other hand, if you’re ever in Bamberg, give it a try. The old tavern there dates to 1405 and looks out on a perfectly preserved medieval town, now designated a UNESCO World Heritage Site. The winding lanes are so tiny that cars don’t bother trying to get down them, leaving the vista outside the pub, with charming half-timbered buildings dating back hundreds of years, intact. The warren of cozy little rooms inside have heavy wood supports stained in oxblood and smoothed by the centuries. I have never found a better place to drink beer and can’t imagine a better beer to drink in such a setting. Tasting Notes: One of the most visible and lauded smoked beers, Alaskan follows Schlenkerla’s lead but focuses on the clean, ashy alder-smoked malt. The real difference is the base beer. Alaskan’s porter has huge fruity notes set against a deep chocolaty background. The smokiness performs a balancing function, like hops, keeping the rich sweetness in check. Like hop bitterness, Alaskan’s smokiness collects on the tongue and gets stronger with time. Tasting Notes: With Forgotten Boardwalk’s entry, smoke is used to different effect. Here it’s an accent, designed to deepen the roasty bite at the center of the beer. 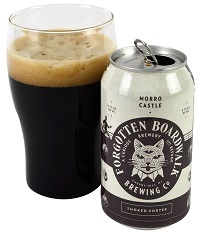 This is a slightly acidic, acrid porter with little shafts of cherry sweetness. The light smokiness provides a glue to pull the flavors together. 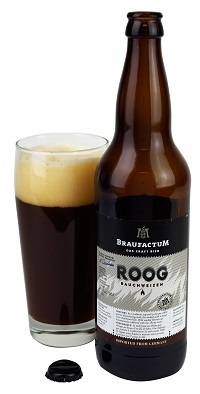 Tasting Notes: A variation on lagered rauchbiers, Roog is a Bavarian weizenbier made with roast malt (Schlenkerla does one as well). It is a yeastily murky pour, like muddy water. That yeast provides characteristic banana, and the darker malt has a nutty flavor; these play against the toasted smoke note, a touch of flambé on the confection. Another example of how smoke can be used as an accent rather than the driving flavor. Schlenkerla has also a “Helles Lagerbier” which is brewed with normal light malt but fermented with the yeast that was previously used to ferment the famous smoked beer. It gives the beer a smokey taste. I find it interesting that the yeast alone gives it this taste. I have been to Bamberg and the Scherlenkerla pub twice. If you ever have the opportunity, travel there. The town is worth the visit and Bamberg has nine breweries. You can stay in the hotel above the Fassla Brewery. I recently returned from a three-week beer tour of Europe. One of the main places to go for me was Aecht Schlenkerla. Rauchbeir is one of my personal favorite things. I sell quite a bit have it at my restaurant and because of this I was granted access to a private tour of the brewery. I met with braumeister Martin Knab. The brewery and the cellars are both incredible places to see. I for one am on a mission to single-handedly change America’s view on this particular style of beer. 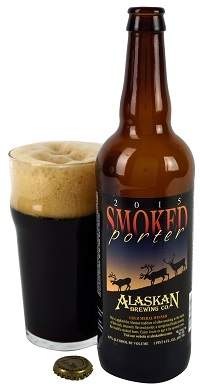 Alaska Smoked Porter has been a long time favorite. Instant Rauch Beer pleaser. I went out of the way to bring some back from Alaska to Virginia. Still dream of Alaska beers east of the Mississippi River. I went to Bamberg last year and stayed at Brauerei Spezial (highly recommend!). Amazing town, amazing beers. Schlenkerla serves the beer out of wooden casks as well (awesome!). A Franconian meal a either brewery is wonderful and the people are inviting. Schlenkerla in particular is a step back in time when you enter the pub. Absolutely massive support beams and ancient masonry heaters. As a smoked beer lover this was my pilgrimage to the promised land! Many moons ago, I was stationed at an Army base in Bamberg and got to know and love the Rauchbiers of Bamberg. Schlenkerla is indeed an awesome place and if memory serves me correctly, I believe the corner stone has a date of sometime in the early 1400’s. Fantastic town with awesome attitudes of the residents and wide variety of restaurants as well. Long live the Rauchbiers!! !